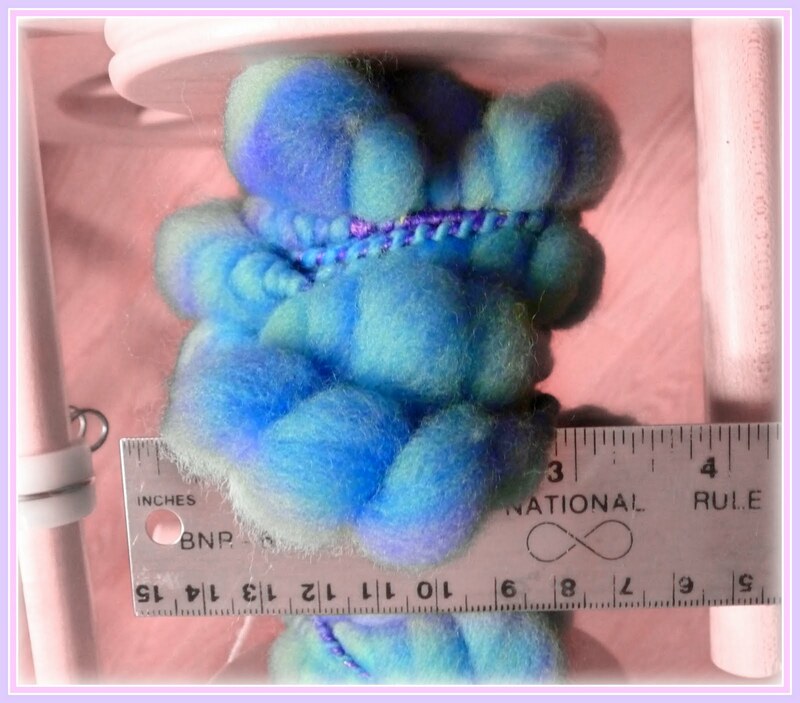 Curly Bird Express: Juicy Art Yarn Spinning, Fun, Fun! 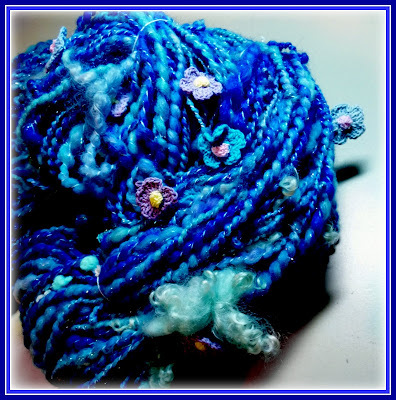 I was looking at patterns the other day for using the coiled yarn and various other art yarns and I am noticing more crochet patterns than knit...what about you? 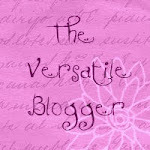 I love your yarns! They are gorgeous and I hope my coils eventually turn out as beautiful as yours. It is so pretty that I would be happy to just lay it around in a bowl. Awesome looking coils...I can only hope my first attempt will not be a total disaster. 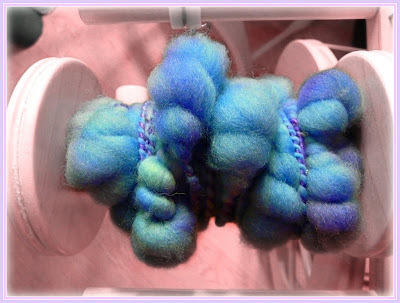 Your spinning looks absolutely amazing. And I love that you keep functionality in mind as well. 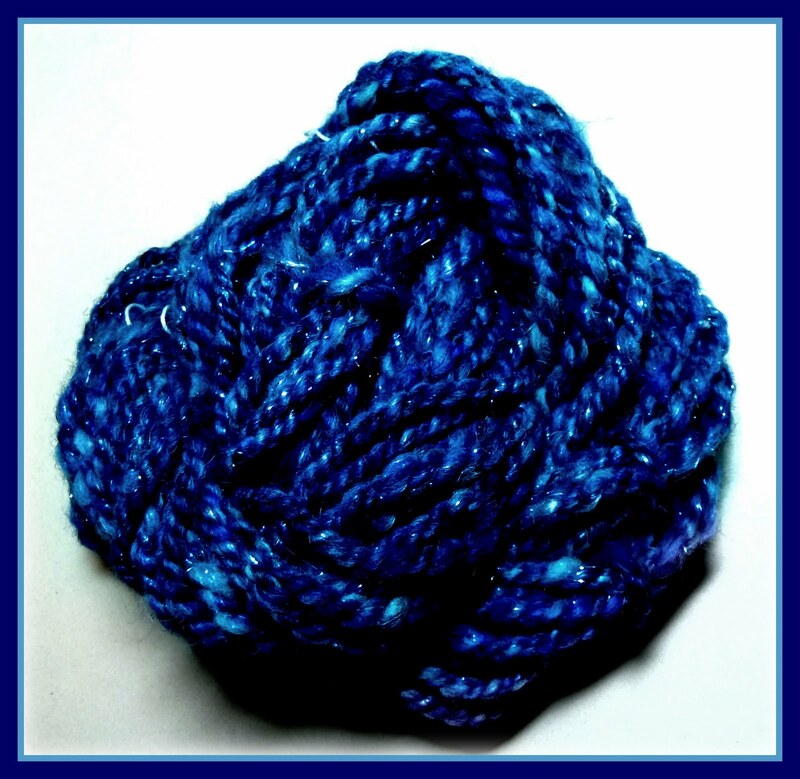 I'd love to see how the art yarns knit up, especially the blue skeins. 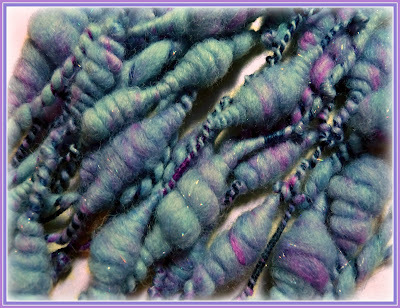 I'm sure they create very beautiful, very unique fabrics with great texture. Oh, I don't think any of us think those coils were easy! I love the Deep Celestial Sky best. Ooh, I love the coils!! My wheel's orifice is always my problem with coils, too. I'm hoping to eventually get a new wheel with a delta orifice. Such a treat to see all the different yarns you can make. The colors are fabulous, love the deep blues. The giant coils are incredible too. 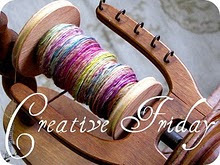 What fun and different yarn you create it is just fun and beautiful.